Hello one and all! The fall anime season is in full swing and that means we have a new crop of FUNimation Broadcast Dubs to cover! 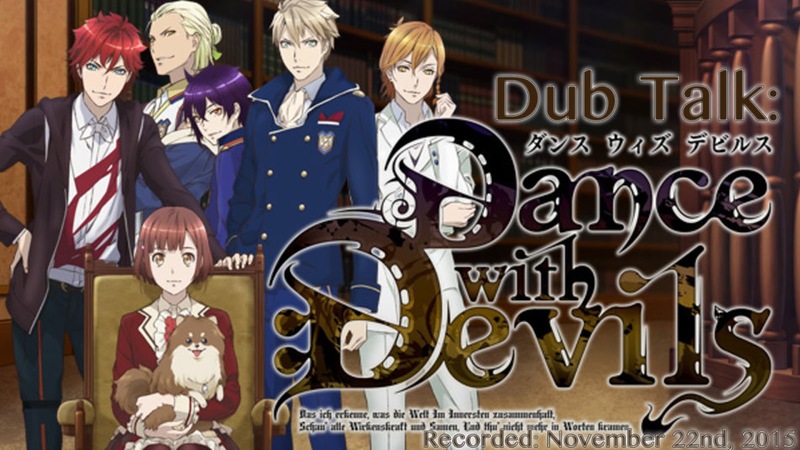 Today, our three main hosts: Steph, Hardy, and Megan, along with special guests Gigi, Sneebs, and Jamal (aka Jamstar) tackle the first of six new Broadcast Dubs and the first of three being covered by the podcast as of now: Dance With Devils. How crazy does this episode get? Well, let's just say we all blame Hardy for this.